'It doesn't have a color,' she said. between the rocks. Also learn from holy books and wise people. 'God is the color of water. The second waterfall is awesome! Where is it shot exactly? Any info on which are these? Gorgeous, breathtaking captures, Arti! I do love waterfalls and had one on my blog yesterday. These are SO dramatic and beautiful! Hope you have a wonderful week! Awesome pics yaar Arti!! Wonderful!! Such beauty and you captured it well. Great camera, great woman you are! Many many thanks Arti ji. Hi, Came in through PN Subramaniam. Lovely pics and beautiful matching quotes. Wonderful pictures! And I have never seen anything like the second one. It almost reminds me of a giant's teeth! Great photography. The qoutes are so beautiful, Arti. A beautiful post. You had me at the first glimpse of the waterfall...these are gorgeous!! So beautiful water falls! The second one is my favorite! I am a bit late. Lovely shots. Loved the way you have woven in the Buddhist quotes and likened the Himalayas as the body of the Buddha. The second pic is especially lovely. 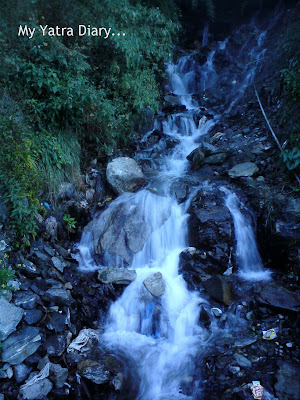 i love the view of the waterfall.. Beautifully written post n equally stunning pics! I'm so happy I stopped by your place tonight. It's a bit like rolling in the deep - always soothing and just what I need at the end of a strange day, when I feel like I need something more but I'm not sure precisely what that something is, or if it's even within reach. thanks for the dip in the pool. I hope you have a happy day. take good care now. So lovely and refereshing this post Arti - water is just what i need today! Have a lovely thursday! bahut hi khoobsurati ke saath prakriti ka chitrankan kiya hai aapne. bahut bahut hi achha laga.is manoram yatra ki aapko hardik badhai avam shubh-kamnayen. prastut panktiyan bahut hi achhi lagin .inhe main apni dayri me note kar rahi hun. What a beautiful and thoughtful collection of the quotes! God is everywhere, just we can not see. Thanks a lot for posting words of Sen No Rikyu and Morihei Ueshiba. Reading this blog is soothing, inspiring and encouraging to me. I feel words are invisible but have such a great power! 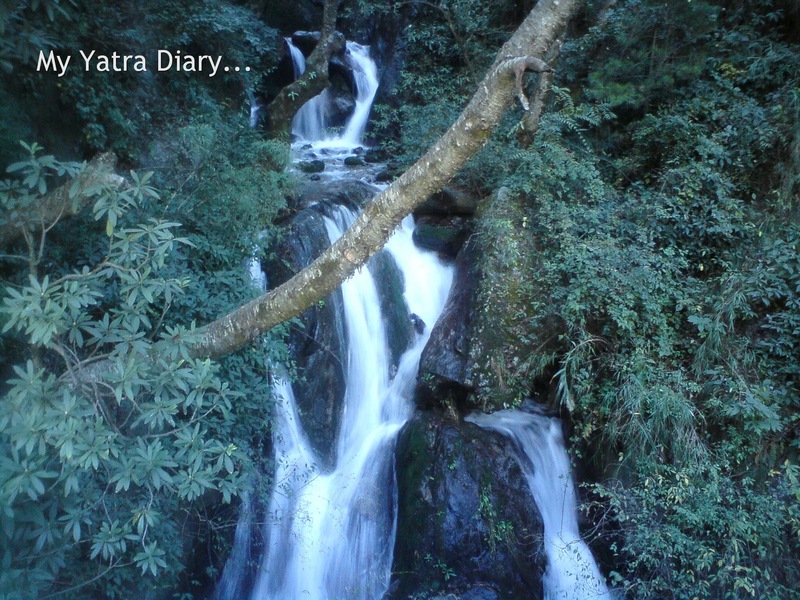 Arti, these are breathtaking captures of waterfalls! I always feel refreshed and recharged at the waterfalls. Thanks for reminding me of that sensation. And, the meaningful quotes, too. Along with trees water has to be one of my favourite things to photograph and you certainly don't disappoint with this post, thanks for these images and the wonderful quotes - they compliment each other so well. Thank you for sharing the beauty that exists in the waters also love the quotes. I often find myself trying to find answers in the waters of nature. Water can represent every kind of emotion. Have a wonderful weekend. It's the colour of happiness! Gorgeous. hope you had a lovely diwali!! 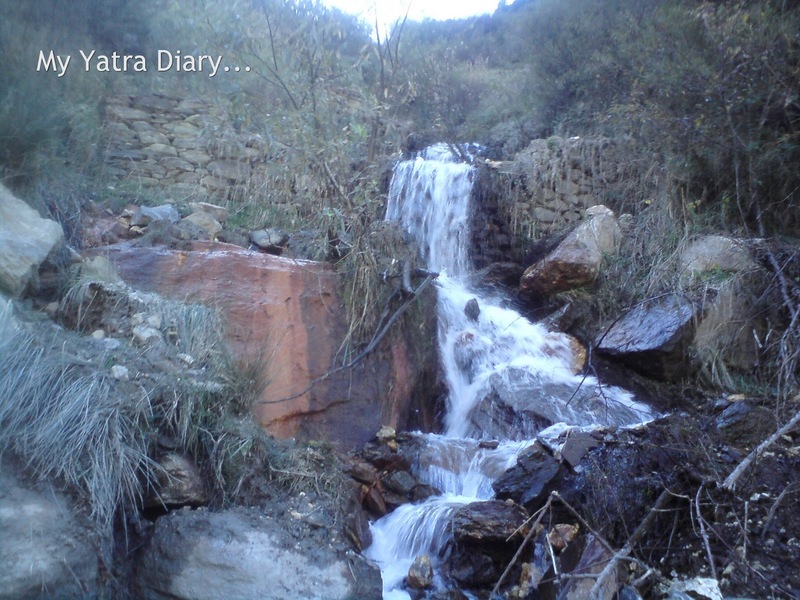 some nice captures....i always love to stop by waterfalls in the hills..the are so fascinating....the beginning is a mystery ..so is the destination!!! Waterfalls always fill one with awe right? Beautiful pics Arti. The Surya Kund waterfalls seems so mystic! I love these pictures Arti -- and even more the quotes. We try to visit waterfalls whenever we can -- it is nice to have the words to know why I love them so much. Your blog is truly resourceful.. I didnt knew there are so many beautiful places in my own country.. I'd love to see some of these falls in real life - would be amazing! We are editorial team at Spiceflair.com looking for exceptional travel writers. We are a start-up, around a quarter old, that focuses exclusively on India and its culture. Our target audience is foreigners, especially from the US. We are looking for freelancers, who can capture the sight, smell and taste of the country with eloquent English. Please let us know if you would be interested in freelancing for us. We would need a regular weekly write-up. For any doubts and remuneration, do email us back. We will get back to you within 48 hours. I came here for the first time. I'd like to stand by these waterfalls. How wonderful it would be! Quotes are all so impressive. 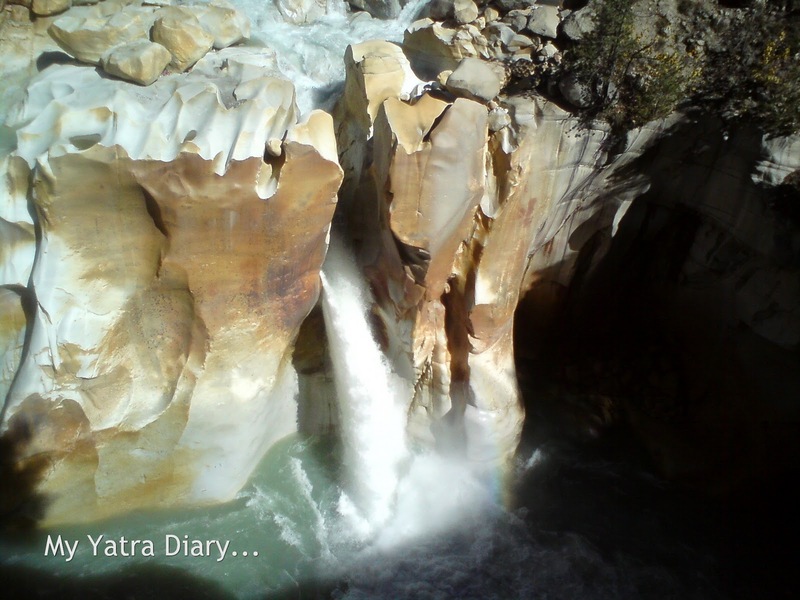 wooooo....I especially love the photo of Surya Kund Waterfall in Gangotri. The stone work is magnificent, God is the consumate artist, his works are remarkable. I loved how you substantiated the quote with the pictures. It lends to this post a certain - purity? Beautiful one Arti.